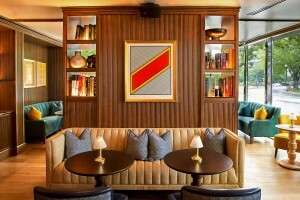 Labor Day has come and gone; summer whites are getting traded for earth tones; and the autumn season is looming. 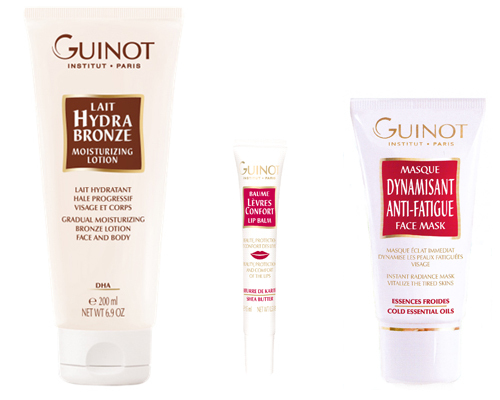 Guinot has the solutions for easing the transition and preventing fall’s potential skincare havoc. Instead of fading away as September rolls in, Guinot’s Hydra Bronze can prolong the life of the diligently earned summer sun tan. The gradual tanning lotion creates a natural-looking tan that will last through the gloomiest days of November (and beyond). Dried and cracked lips from salty ocean water and sun exposure do not mix well with the aubergine and burgundy hues of fall lipstick. To get lips healthy and ready for a smooth coat of color, one can use Baume Lèvres Confort lip balm to soothe and soften. Best of all, applied a few minutes before lipstick, it works as a perfect primer. It’s easy to hop out of bed in the summer; when the sun starts rising later and there’s a chill in the air it’s not so enticing to emerge from under the covers. Three minutes of Masque Dynamisant Anti-Fatigue not only gives tired faces a quick boost of radiance, but the cold essential oils give the skin a burst of energy, making anyone feel and look like a morning person. There’s enough to fret about on a first date (and second, and third), so take kissable lips off the worry list with this three-step, foolproof, pre-date regimen. The expert tips from Guinot’s Director of Education, Elizabeth Murchison, will leave lips soft, smooth, and just begging to be kissed. Step 1: Cleanse the lips with the eye makeup remover and exfoliate with Gommage Biologique. Step 2: Apply a thin layer or Mask Hydra Beauté for five minutes. Remove with a damp cotton pad. Step 3: Apply a thin layer of Guinot’s new Lip Balm five minutes before you apply your lipstick. Lips are sensuous and alluring, unless they’re chapped. Most people spend time caring for their face and eyes and neglect the fragile lips. With very thin skin and constant exposure to environmental irritants such as wind, cold, and sun, the lips are naturally less protected than the skin on the face. Guinot’s new lip balm has a solution to protect and comfort kissers keeping them poised to do exactly that. Phytosterol-rich avocado extract protects the lips’ membrane against irritants while soothing the skin and Vitamin F Glycerides’ essential fatty acids (omega-6 and omega-3) fight dryness and dehydration and reinforce the barrier between lips and the outside world. The buttery texture provides instant relief and nourishing shea butter soothes and softens. Pro-ceramides from sunflower oil regenerate the lips’ membrane by replenishing lipids in dry lips from the inside and allantoin softens, smoothes, and repairs by stimulating and mending tissue. Vitamin E finishes the job by combating skin aging with its anti-free radical and antioxidant properties. Lips are instantly smoother and more attractive, so pucker up! This balm makes an excellent base for lipstick! Available at over 1,000 Guinot spas in the U.S. Forgo the stress of finding the perfect present for loved ones this holiday season with prestige French skin care brand, Guinot. The Youth Box Gift Set is the ideal gift for the young-at-heart, while the Age Logic Luxurious Vanity Case will leave even the hardest-to-shop-for mothers-in-law grinning from ear to ear. A scientific solution for dull skin, this age-defying gift set includes two of the line’s most popular products, Long Vie Cellulaire and Time Logic Age Serum, to provide glowing skin. Long Vie Cellulaire, 1.7 oz jar – Guinot’s first product is still its star; this youth renewing cream provides 56 essential elements for cellular life and necessary for the renewal and longevity of skin cells. It also aids in the healing of damaged skin and works to revitalize the skin for a radiant, youthful complexion. Time Logic Age Serum, travel-size pump – This nighttime serum stimulates the metabolic energy of skin cells, repairing damage at night for beautiful skin all day long. 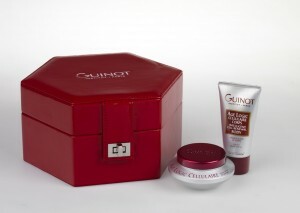 Designed for women over age 50, this Guinot “Fountain of Youth” set will leave skin looking and feeling more like age 25. Age Logic Cellulaire, 1.6 oz jar – Guinot’s rejuvenating, best-selling face cream is celebrated as the first treatment product to minimize the effects of cellular aging, help skin heal itself, and prevent wrinkles and fine lines from maturing. Vital functions of facial skin cells are reactivated, stimulating tired skin and infusing new energy, resulting in a firmer, visibly smooth visage. Age Logic Cellulaire Corps, 1.7 oz tube – Modeled after its face cream counterpart, this body cream is packed with high-powered ingredients that combat the cellular aging process and rejuvenate the skin to provide an all-over youthful appearance. 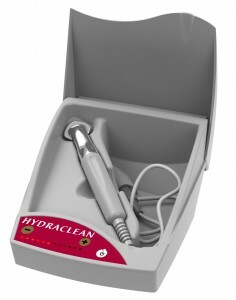 The new Guinot Hydraclean Facial uses the patented Thermoclean Electrode to offer spa enthusiasts glowing skin in 30 minutes. Many trendy, “quickie” spa treatments promise to get clients in and out in under an hour. These treatments are designed for time, not results – compromising their overall effectiveness. Unlike the rest of the pack, Guinot’s Hydraclean Facial is not a just a shortened version of any existing treatment. Over the past two years, Guinot has been developing the Thermoclean Electrode specifically for this treatment, delivering noticeable, long-lasting results in less than half the time of a standard facial. Guinot’s Hydraclean Facial will cater to a diverse clientele, including hurried professionals with barely a minute to spare, young spa goers looking for an introductory treatment, those looking for a skin refresher that won’t leave them red, puffy or makeup-less. The 30-minute facial is so perfectly designed for speed and efficacy that one’s eye makeup remains untouched – so it’s back to work in a jiffy, a quick visit between work and a Friday evening date or a little “me” time between soccer practice and the French tutor. Regulated heat from the patented Thermoclean Electrode triggers hyper-secretion of the sweat and sebaceous glands to clean the pores and rid the skin of oil and toxins while individually prescribed gel is massaged into the face to deeply penetrate and treat. Skin is clearer, brighter, hydrated, able to breathe, and is more receptive to subsequently applied products. Guinot created this patented Thermoclean heating electrode specifically for this treatment. Instead of using steam to soften the pores (that can dry out and damage skin and with which you cannot regulate the heat), this electrode is set to a specific temperature and can be adjusted to each person’s comfort level. While softening the pores, the heat from the electrode simultaneously penetrates the treatment gels deep into the skin. There are two gels that were specifically created for this treatment – the Universal Cleansing Gel for all skin types and the Purifying Cleansing gel for oily skin. Both are soap-free and have Salicylic Acid to provide antimicrobial action and exfoliation and Lipacid to regulate excess oil. The Universal Gel also contains Allantoin to soften and sooth and Lactic Acid to moisturize, while the Purifying Gel contains Burdock to deeply cleans and purify. The massage, done with a special serum made with Witch Hazel Extract and Allantoin, promotes tissue drainage, regulates sub-cutaneaous microcirculation, and relaxes facial features. Available at Guinot spas around the country. Known the world over as an industry leader, Guinot has consistently led the charge in everything from game-changing technology and techniques in skincare to maintaining the most stringent high standards in the development and manufacturing of their products. Today, Guinot’s meticulously honed collections of treatments and products are carried in over 1000 spas and salons within the US. Guinot Institut Paris is distributed in the US exclusively by Lachman Imports, which has offices and a full-service Guinot training center on Fifth Avenue in New York City. 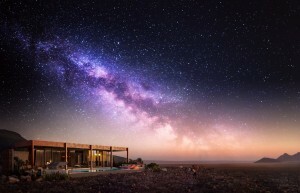 Visit GuinotUSA.com for more information. Leaves will be turning and the kiddies are heading to school, so we thought we’d pass along some lessons in skincare to share in the back-to-school ethos. Experts Elizabeth Murchison from Guinot and Katrina Lynam from ESPA have answered some of our most pressing skin regimen questions, so whip out that trapper keeper and take notes! How do you know if you should be using a mask? When you feel your skin needs an extra boost of radiance or if the skin appears dull (especially during summer or winter months when sun and cold weather can dehydrate the skin), it’s time for a mask. A deep cleansing mask can balance and cleanse skin prone to blackheads and pimples. Masks are a necessity for any age and all skin types. For instance, if you receive a deep cleansing treatment, part of the maintenance should be regular use of a mask, which should be purifying and will make pores appear smaller. Guinot Pure Balance Mask will keep pores clean between facials. 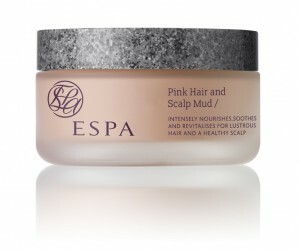 ESPA Skin Radiance Mask will revitalize and renew dull, tired skin to visibly brighten and even skin tone.